Howie Mandel Teased Calvin Harris With Taylor Swift Joke: See His Reaction! This is not what he came for! 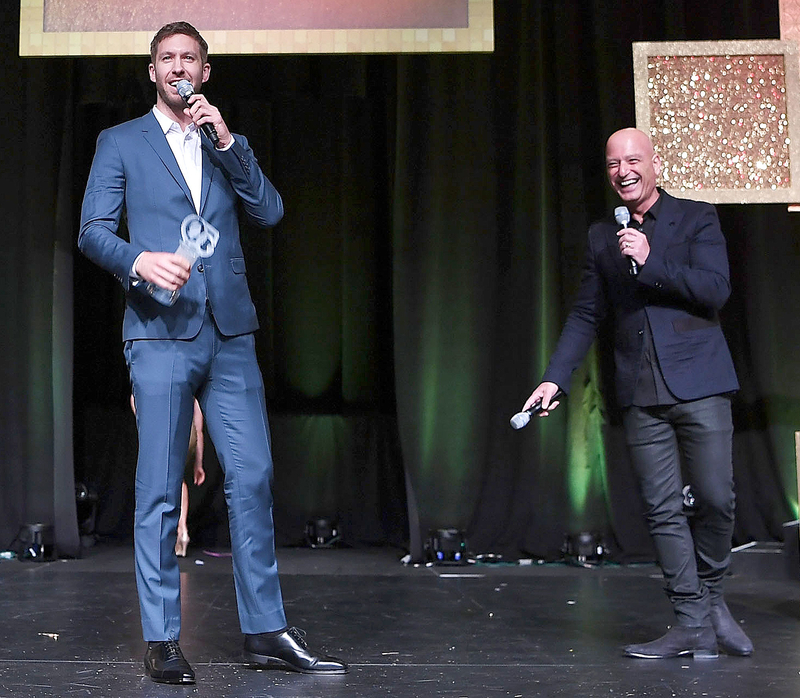 Howie Mandel made a teasing joke about Taylor Swift to Calvin Harris during Caesars Palace&apos;s 50th anniversary gala in Las Vegas Saturday, August 6 — and things got awkward. The America&apos;s Got Talent judge, 60, caught Harris, 32, off guard as he presented him with the Future Icon Award on stage. "That&apos;s a nice suit. Who&apos;s your tailor?" Mandel said. "See what I did?" Following that pun, the audience burst into laughter while Harris appeared to turn a slight shade of red. "You got that prepared," he said, smiling. "You had that one ready." Harris has been single since ending his 15-month relationship with Swift, 26, earlier this summer. The "Wildest Dreams" singer, meanwhile, has moved on with Thor actor Tom Hiddleston — and it&apos;s getting serious. The pair have already met each other&apos;s families and traveled the world together. "Tom said he hasn&apos;t found the right woman yet. But he thinks Taylor is the girl he has been searching for," an insider previously told Us Weekly of the British hunk, 35. "Tom checks off a lot of boxes. He’s hot, smart, talented, British, blond, everything she’s into. What’s not to like?" a pal close to Swift added. "Taylor is just happy to have the time to meet someone new and move on from Calvin." Watch Mandel and Harris&apos; cringeworthy interaction in the video above!